This weekend was the Città di Castello white truffle festival, an event where many truffle food producers set up stall along with other artisan food makers. 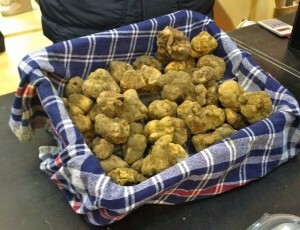 The hills of the Upper Tiber Valley are rich hunting grounds for both black and white truffles and it’s not uncommon to see people out with their dogs furtively hunting for the prized tubers. 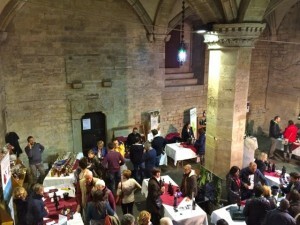 I love truffles, but the main draw for me was a wine tasting event held in the medieval town hall. 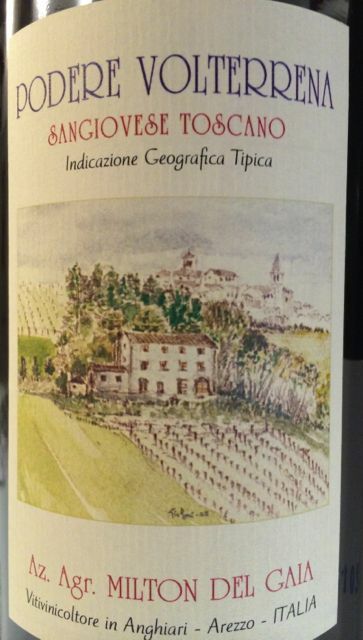 I’m currently part of the way through the first level of the Association of Italian Sommeliers’ (AIS) course and was keen to practice my tasting skills on a selection of wines. 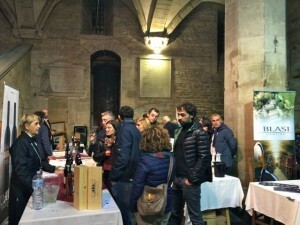 Many local wine makers attended the event as well as a producer from the regions Molise and one from Lombardy. A €5 entrance fee gets you a glass and you can walk from stall to stall sampling as many of the wines as you wish. 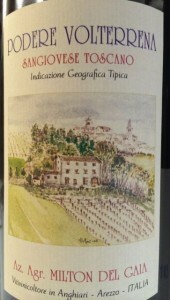 I was pleased to find some really good wines from the Upper Tiber Valley that I had not come across before, one from Anghiari called Podere Volterrena and a producer from Selci, just outside Città di Castello, called Bianchini who makes only 6000 bottles a year! Events like this are a really special part of living in Italy – you can sample some excellent wines in a medieval building and meet many of the winemakers whilst doing so.